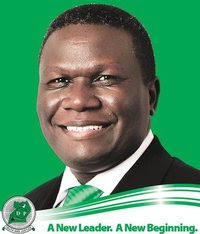 In 2011 Norbert Mao will be the next president of Uganda. other Ugandan languages including Lusoga, Runyankore. change of government has always come with guns blazing or guns drawn. Norbert Mao puts his words into action. now discredited Structural Adjustment Program. in 2006 he did not compete even when he was still very popular. election with about 80 percent of the vote. mediated by the Government of Southern Sudan. Chairman Emeritus of Amani Forum. ready for a new beginning for Uganda. instilled in him deeply rooted values and a strong work ethic. Norbert Mao and his wife Naomi have two children, Nicholas and Nathan. They live in Kampala and Gulu.